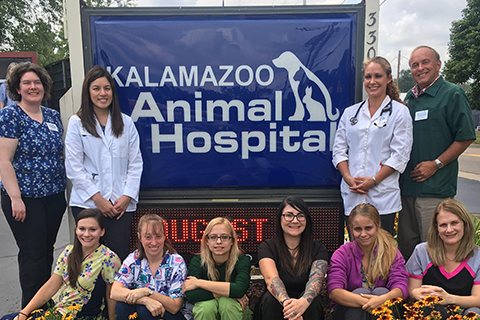 The Kalamazoo Animal Hospital offers excellence in veterinary care to clients in Kalamazoo, Michigan and the surrounding communities including: Portage, Oshtemo, Parchment, Comstock, Galesburg, Vicksburg, Mattawan, Schoolcraft, Plainwell, Three Rivers, Allegan, and Otsego. We are a dedicated group of professionals who strive to assist your pet in living a longer, healthier, and happier life. We also pride ourselves in providing personalized veterinary care in a compassionate environment that is both welcoming and comfortable for you and your beloved companion. 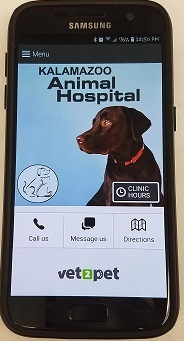 Kalamazoo Animal Hospital offers preventative medicine, dentistry (including digital dental x-rays), a full-service pharmacy, in house laboratory, radiology and ultrasound. We are proud of our modern surgical facilities offering both traditional and laser surgery. A central part of our veterinary practice is treating you as family and your pets as if they were our own. 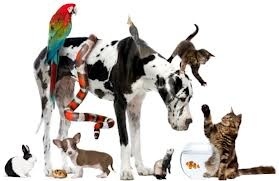 Our veterinarians and staff will tend to every need of your cherished pet, with comprehensive veterinary care and professional support to you as an owner. 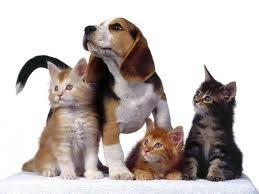 We hope you will take a moment to explore our website and learn more about what we have to offer you and your pet. While you are exploring our website you will also find you can subscribe to our newsletter and find directions under the "Contact Us" tab. Also, please take a moment to 'like' us on Facebook. At Kalamazoo Animal Hospital, we treat your pets like the valued family members they are. We would be happy to answer any questions you may have or to schedule an appointment. "It's a well-structured operation with professionals who obviously really like pets. I found Dr. Kautzer, techs Kitty and Chris, and the whole staff to be professional and efficient without sacrificing one iota of kindness. The atmosphere is friendly and easy-going. My pets and I immediately felt comfortable. Prices seemed fair, though it's hard to compare. Most of all, Dr. Angie really took the time to explain options and answer questions. She inspires confidence." "Dr Kautzer was great, as she has always been!" "I have been coming to this vets office for over 20 years, I am happy with the service." "I've been using Kalamazoo animal hospital for over 30 years they've always taken good care of all my animals great staff !"